← What does Romeo and Juliet mean to you? This week I have caught up on some recently released and filmed in Europe films, making me stoked to go back to The Continent during spring break next March. 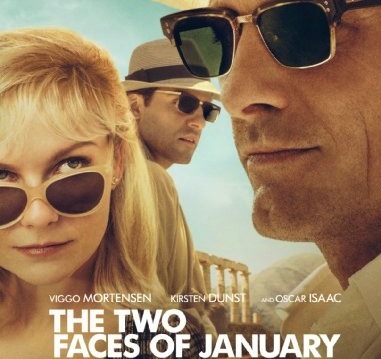 First up was the new thriller The Two Faces of January, adapted from Patricia Highsmith and from the writer of Drive. Hossein Amini retained his costar in the earlier film, Oscar Isaac, and added Viggo Mortensen and Kirsten Dunst into the mix as a central trio caught up in a deceitful web within 1962 Greece. All three actors find several elements to highlight of their roles, with Mortensen nailing the disheveled intrigue of a shady businessman, longtime cinema veteran Dunst offering a mature portrayal of a young woman caught between several worlds, and Isaac continuing to come up the ladder, cinematically, filling in the role of a man who has his hands in several parts of Athens life. The actors are aided by carefully chosen photography and film work, emphasizing the colorful contrasts of Greece, and a reminder of an era when locations felt more far away (presumably) than they do in the present day, with real effort needed to get a specific plane ticket, to make your next travel connection, or make sure you still have everything you need for your out of the country identification and security. The film might suffer from what I assume is a flimsy source material. Highsmith’s interest in shady characters, same-gender relationships and European locales is all there, but at a 90 minute running time, there isn’t much depth aside from the inciting event and what happens after that experience. A more seasoned director might have gotten deeper performances from the leads, though Amini’s experience with narrative tension comes in well late in the film with a series of “will they or won’t they succeed in _______ activity” sequences. 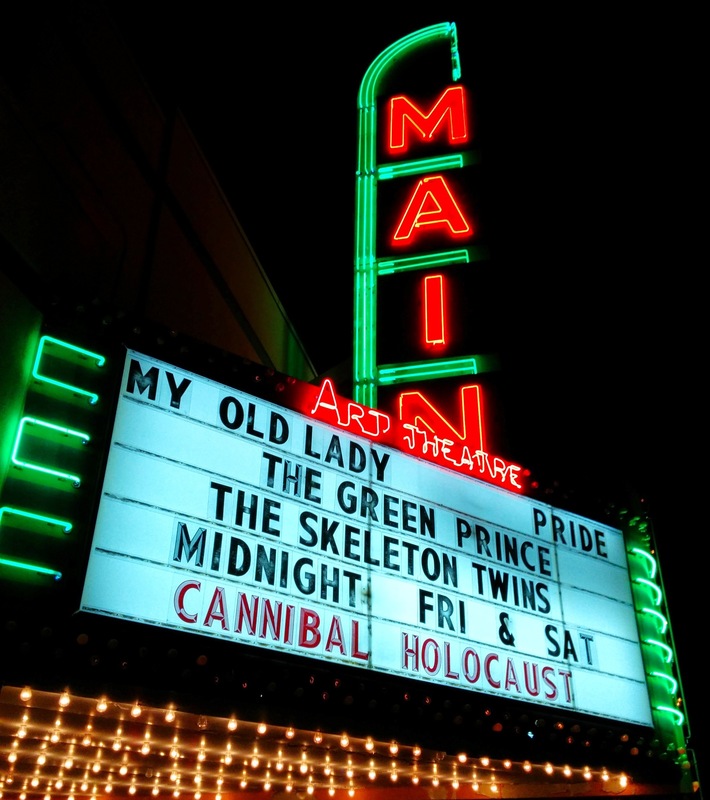 The second film of the week, My Old Lady, is a cinematic interpretation of a play originally seen at my “other” hometown theatre, Gloucester Stage Company, in 1996 and 2005. (I remember hearing of both productions but did not see either of them performed.) The film also marks the belated cinema directorial debut of Israel Horovitz, former artistic director of GSC and well – known in the theatre world. Throughout the film, its stage origins are clear, with some positive and some negative results. The film also seems to be an excuse for its central trio – Kevin Kline, Maggie Smith and Kristin Scott Thomas – to flex their acting muscles in a new project. Scott Thomas has been seen onscreen before with both Kline and Smith, but not in the same film. IMDB says her role was originally scheduled to be played by Jane Birkin, which might have made more sense in the story. As it is, the start of the film introduces Matthias (Kline), a down on his luck New Yorker who has recently traveled to Paris to inspect an apartment his recently deceased father has left him. He quickly learns that the apartment has been inhabited for many years by Mathilde (Smith), a woman now in her 90’s, and her daughter (Scott Thomas), neither of whom is receptive to his intention to sell the house for income purposes. The focus alternates between the three central characters as Matthias debates whether or not he wants to go through with the sale, while through a series of circumstances, Mathilde reveals that she knows more than she lets on about her family history and how the two younger people are connected to her and each other. The script’s stage origins are clearly visible throughout the film, with several long monologues still in place and a few scenes clearly added to “open up” the plot and take advantage of the perennially picturesque Parisian locations. Most of the story settles in the central location of the Marais apartment, which seems to be quite large and endless, complete with an attached garden. Kline seems to be enjoying the demands of the part, showing awkward alcohol – induced stodginess in several scenes, but then following it up with hints of long emotional neglect. Smith also goes beyond her current Downton Abbey stereotype of twinkling eyes and cutting comments, not hesitating to be forceful in several scenes while also showing genuine heart. Scott Thomas falls somewhere in between with a difficult part that seems to be in the middle of the two-character seesaw solely for reaction – based purposes. I can’t say that the film fully convinced me as a drama, but if its taken as an acting class from veterans and perhaps isolated out with just a few of the character monologues and moments, then the best parts come to light. It was cool to see the full Art Deco experience of the Main Art Theater in action last night. 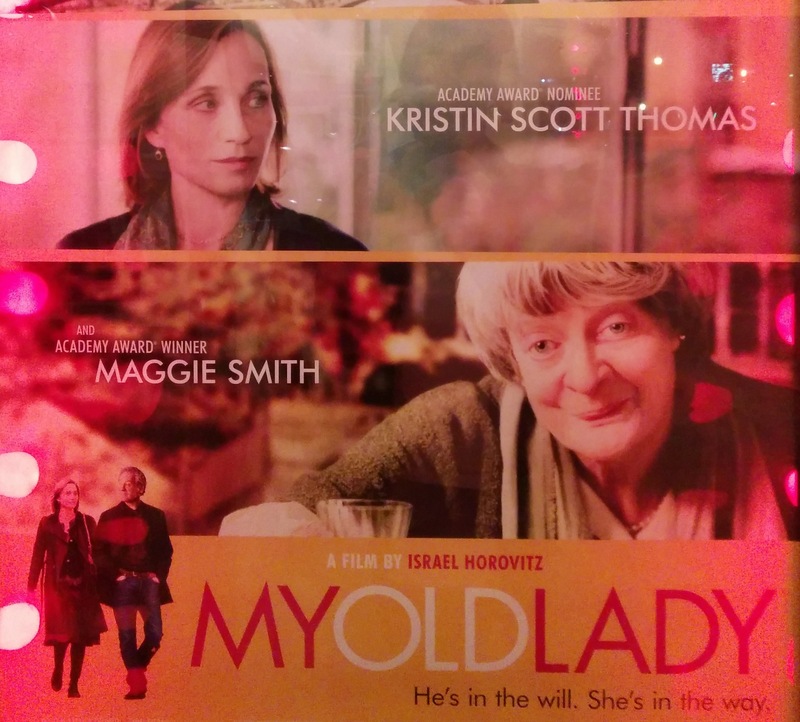 Posted on October 17, 2014, in Movies, Theatre and tagged cinematic pairings, european films, gloucester, greece, independent film, kevin kline, kirsten dunst, kirstin scott thomas, london theatre, maggie smith, movies, north shore, oscar isaac, plays to film, theatre, theatre memories, viggo mortensen. Bookmark the permalink. Leave a comment.